As host of regional trainings around the country, what are emerging leaders telling you about what they need to learn to be effective managers? I see next generation leaders every day that are smart, motivated and truly care about the future of their firm and the profession. They are excited about what they are hearing about, including Advisory Services, deeper relationships with their clients and team, and less compliance work. However, a reverse effect is happening that makes them very frustrated. The lack of change they are seeing in their firm in all of these areas is demotivating. They want to move forward, but they feel stuck. You’ve said Boomer Consulting’s client base is “future-focused.” Can you give us an example of a firm that’s implemented a future-focused initiative and seen positive ROI? We have been working with the firm of Bold Carlisle and Smith for the past 4 years. They started as a foundationally good firm with challenges in leadership, process development, technology struggles and a lack of overall direction. Today, they are seeing positive change in all of these areas. Through the process of strategic planning, coaching, the Boomer Technology Circles Community and a new focus on process improvement they are a new and improved firm – and are certainly future focused! Oh, and they reduced the number of hours spent on business entity tax clients significantly this year. You’ve done quite a bit of work around employee engagement as an HR expert in the profession. If you could wave a magic wand, what’s the one thing accounting firms should do to better engage their employees? Make time to truly manage their team. Continuous and ongoing feedback, mentoring and reverse mentoring and including them in the strategic planning process are just a few ways to truly engage the team that surrounds you. This is less generational than it is relational. People will engage when they feel valued, and you can’t feel valued if you don’t really know the people that you are working with. It sounds simple, but it is hard work. Hard work does lead to amazing results in the area of retention, attraction and motivation! You were recently named president of Boomer Consulting, Inc. as part of its long-term growth and succession plan. What do you hope the firm will look like in five years? In 5 years Boomer Consulting, Inc. will continue to be a leader in the profession transforming firms in the areas of Leadership, Talent, Technology, Process and Growth initiatives. We will use The Boomer AdvantageTM to ensure that our clients are growing in each of these areas and are connecting the dots between each of them. This will enable firms to be future ready. We will continue to build a unique team of professionals that are consistently innovating and creating new services and new successes for our clients. I am excited about the change that is occurring in the profession today. It’s truly an exciting time. The firms that are ready to face the future with innovation and a positive attitude will be winners. Helping firms transform and actually create a practice that will sustain them for the future is what gets me excited. My passion – helping firms that are feeling stuck and even a little demotivated get excited about their future! P&N Tech, the information technology subsidiary of Baton Rouge, La.-based Postlethwaite & Netterville APAC (P&N) (FY16 net revenue of $57.6 million) announced the release of its new custom-developed software application Pounce™. Pounce is an easy-to-use, web-based system designed for service providers in the accounting, business consulting, legal and architect/engineer/contractor (A/E/C) industries. The purpose of the system is to provide employees access to marketing collateral and team member resumes to aid in business development and sales efforts. Pounce’s core features include marketing material management, resume management and sales packet creation. Additional functionality includes powerful search capabilities and a mobile app to enable professionals to market themselves and their services on the go. P&N has been using Pounce as a firm-wide business development and marketing tool since January, and recently made it available to other accounting and business consulting firms through its product launch at the Association for Accounting Marketing (AAM) 2016 Annual Summit last month in New Orleans. The development of Pounce was a collaborative effort between the application development team of P&N Tech and the marketing and business development professionals of Postlethwaite & Netterville. Learn more about Pounce at www.GoPounce.com. JRS Financial Services, an affiliate of Garden City, N.Y.-based Janover LLC (FY15 net revenue of $27.1 million) has merged in Hagan & Burns CPAs PC of New York, a two-partner practice specializing in regulatory and consulting services to the broker-dealer community. Hagan & Burns will operate under the JRS brand. The union strengthens JRS’s position as the leading provider of financial management and advisory services to the financial services industry. The two partners of H&B, Len Hagan and Rosemary Burns, have joined JRS as principals. “We are excited about adding the Hagan & Burns team to our organization. Their professionalism, wealth of knowledge and experience in the broker-dealer industry will prove to be tremendous assets for our clients,” says Chad Kirschenblatt, managing director, JRS Financial Services. “Hagan & Burns has proudly served the broker dealer community on Wall Street and throughout the country for over 20 years, providing a variety of financial, operational, regulatory and compliance services. Hagan & Burns looks forward to our future with the Janover family, combining our experience and services, and enduring dedication to our clients,” say Burns and Hagan. David Evangelista, a nationally known employee benefit plans advisor and auditor, was elected president of the Foundation for Accounting Education’s (FAE) Board of Trustees. Evangelista is a principal at Cranford, N.J.-based MSPC Certified Public Accountants and Advisors PC (FY15 net revenue of $9.9 million). His one-year term as FAE president began June 1. Established in 1972, the FAE is a 501 (c)(3) organization that operates the CPE programs for the New York State Society of CPAs (NYSSCPA). FAE offers a variety of online and on-site learning seminars and conferences in addition to monthly technical sessions. The foundation’s 12 trustees typically meet four times a year, approve the annual operating budget, set the education-policy directives and oversee the Moynihan Fund, which awards scholarships for college students. The Moynihan Fund also provides funding for the Career Opportunities in the Accounting Profession program, a unique learning experience developed to expose promising underrepresented minority high school students to accounting and business careers. Evangelista has more than 30 years’ experience advising and auditing ERISA (Employee Retirement Income Security Act) benefit plans. He joined MSPC as a principal in January 2008, where his responsibilities include management and supervision of audit, accounting and tax clients in the public and private sector, including employee benefit plans, labor unions, non-profit organizations, individuals, corporations and partnerships. Evangelista also leads MSPC’s litigation support, forensic and fraud practice. Since joining the NYSSCPA in 1988, he has served the organization in a number of different positions, including as a trustee for its CPA Political Action Committee and as a vice president and member on the Society’s board of directors. 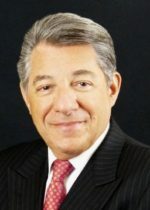 He is the founder and first president of the NYSSCPA’s Rockland County Chapter, and has worked with other society members on a number of additional committees including finance, nominating and public school accounting and auditing. The partnership of New York-based CohnReznick (FY15 net revenue of $575 million) has elected Keith Denham, Michael Monahan and Scott Sachs to serve as the newest members of the firm’s executive board. The 10-member executive board is responsible for the firm’s business and growth strategy along with the CEO and oversees the day-to-day operations of the management committee. Each member’s term is three years with provisions for reelection. 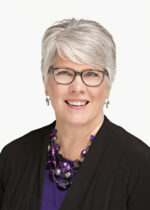 Denham is managing principal and national director of CohnReznick Advisory. 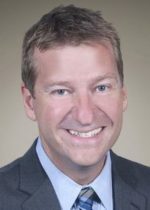 He brings more than 20 years of experience to his role and oversees a dedicated advisory team that helps management and directors of public, private, not-for-profit and governmental organizations balance the often-conflicting needs that result from growth, economic challenges, opportunities or crises. Monahan is OMP for CohnReznick’s Long Island, N.Y., office. With more than 20 years of experience in both public and private accounting, his industry experience includes technology, retail, consumer products, and manufacturing and distribution. He has served as audit partner and, more recently, as an advisor to business owners and management of private and public companies who are seeking guidance on acquisitions, divestitures and raising capital. He has also provided advisory services for several initial public offerings. 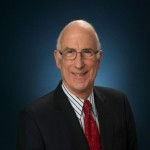 Sachs is regional MP for CohnReznick’s West Region. He has more than 25 years of experience serving privately held and public companies – both emerging companies and those in the middle market. He works with clients in a variety of industries including high technology, manufacturing and distribution, retail and consumer products, apparel, biotechnology and franchises. Atlanta-based Frazier & Deeter (FY14 net revenue of $61.6 million) has expanded its real estate services with the addition of FD Real Asset Advisors LLC (FDRAA), a specialized advisory and investment banking practice for real estate, infrastructure, energy, agriculture/natural resources and other real asset projects. Developers and investors in real asset projects are facing a dynamic and, in some cases, narrowing capital market environment when it comes to finding a financing solution for their ventures. FD Real Asset Advisors will assist existing and new Frazier & Deeter clients in developing tailored financing strategies, performing feasibility studies and procuring private equity and debt capital to fund their real estate, private infrastructure and natural resources programs. With more than 18 years of experience in the finance and real estate sector, Healy holds Financial Industry Regulatory Authority licensure as an Investment Banking Representative and Corporate Securities Representative. He is a licensed real estate broker in multiple states. Healy previously held the position of managing director and founder at Real Asset Capital investment banking. He also has more than 10 years in the commercial real estate industry, where he held various positions with service companies and developers. 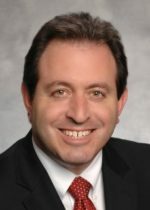 Pittsford, N.Y.-based The Bonadio Group (FY15 net revenue of $79.2 million) has put into place a leadership succession plan that begins a series of changes that lead to Thomas Bonadio handing over the CEO role in three years. Effective May 1, 2016, Mario Urso became chairman of the firm’s board of directors. “Mario has more than 25 years with the firm, and he has the skills and trust of our partners to lead our board,” says Bonadio. Also on May 1, Bruce Zicari was named Rochester OMP. Over the next three years, Tom Bonadio will continue to mentor Zicari, whom has been voted by the firm’s partners to assume the CEO role on May 1, 2019. As chairman, Urso will lead the Bonadio board of directors and set the strategic direction for the firm. In addition to that position, he will continue to co-lead the firm’s health care/tax-exempt practice. As Rochester OMP, Zicari will work with Bonadio COO Robert Enright to oversee the administration and operation of The Bonadio Group’s headquarters. In addition, he will continue to lead the firm’s small business advisory statewide practice. The Bonadio Group now serves more than 17,000 clients on a local, national and international scale, with an employee base of more than 700 across New York state. William Hickey, retired chairman and CEO of Sealed Air Corp., a global manufacturing and marketing company, has been admitted as senior manufacturing advisor in the manufacturing industry practice of Chicago-based Grant Thornton LLP (FY15 net revenue of $1.56 million). Hickey will support the firm’s manufacturing industry practice throughout the United States. 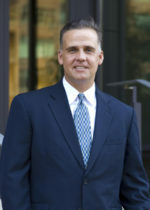 Prior to his appointment as president and CEO of Sealed Air Corp. in 2000, Hickey served in a variety of executive positions at the company, including COO, executive vice president, CFO, and vice president and general manager of the Cellu products division and the food packaging division. 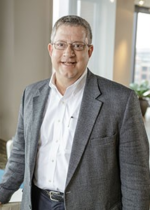 Columbus, Ohio-based GBQ (FY15 net revenue of $26.8 million) admitted Tom Powers as the next director of assurance services at the firm. Powers joined GBQ in 2009. Prior to joining the firm, he was at Ernst & Young LLP for 21 years, serving as an assurance and business advisory services partner for the last seven years in the Columbus office. Powers will continue to serve clients in his new role. Paul Anderson will assume the title and role of senior director. Anderson served as GBQ’s director of assurance services for 27 years. In his new role, he will focus on practice development and enhancing service to clients. Additionally, he will continue to oversee the maintenance of the firm’s quality control standards, including interpreting current and new accounting, auditing and independence standards on behalf of GBQ and its clients. “If you have met Tom, you know of his inquisitive mind and boundless energy. I have no doubt that he will bring both of these attributes as director of assurance. I congratulate Tom, and look forward to working with him as he assumes this new role with GBQ,” says Anderson. 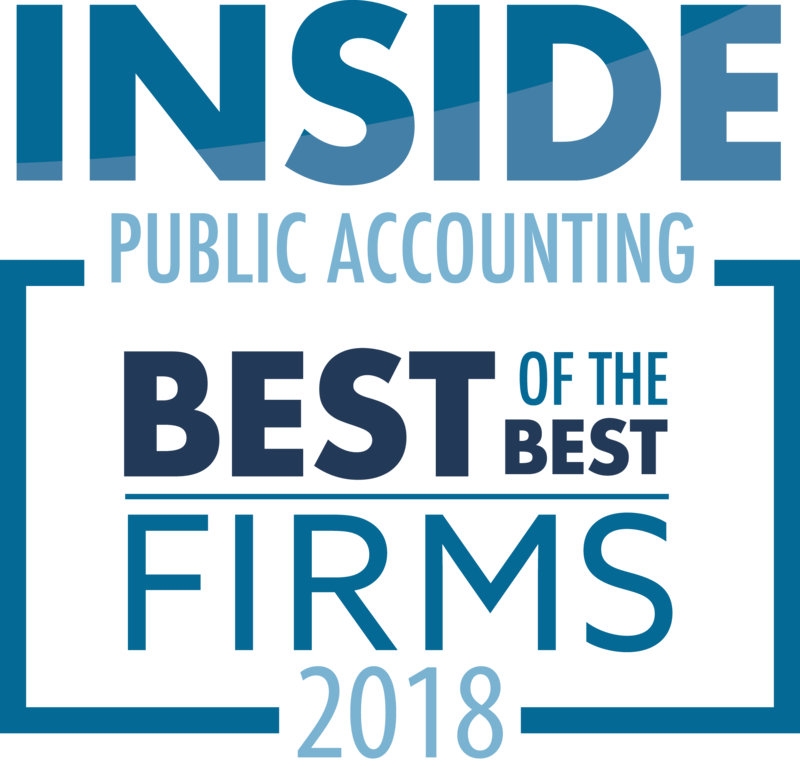 This month marks the 45th anniversary for Teal Becker & Chiaramonte CPAs PC (TBC) (FY15 net revenue of $13 million) of Albany, N.Y., a member of CPAmerica International since 2003. 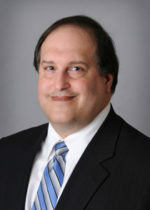 John Chiaramonte, a founder of the firm, now serves as chairman. He recently shared his reflections on doing business for 45 years. One aspect of the firm that has certainly changed is its size. 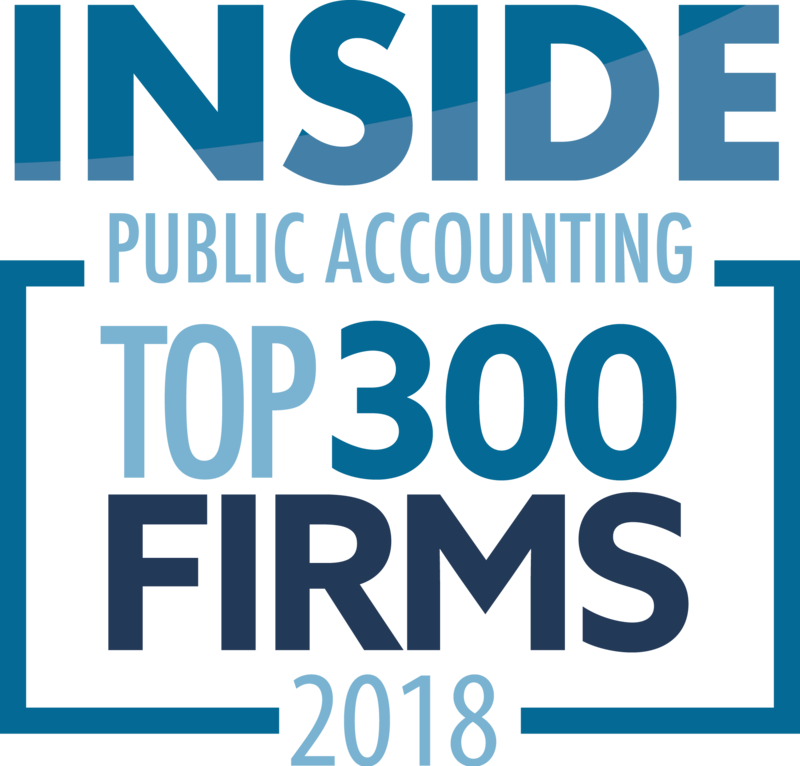 Starting with only four employees, today it employs 95 associates, including 52 CPAs – the most in any public accounting firm in the Albany area. While the firm has moved its physical location several times to accommodate the growing number of employees, the current staff all operate out of one office building – and there are no plans to change the headquarters. In addition to real estate developers, the firm’s commercial clientele includes construction contractors, distributors, manufacturers, professional service firms, automotive dealers, retailers, technology companies and wholesalers, among other businesses.